If the left had its way, government teachers would be a protected class, afforded all the privileges the nation has to offer. Rather than bargaining and compromising, a blank check would be handed to these education professionals. Despite indoctrination overtaking the three Rs, putrid test results, and students ill-equipped to handle the real world, unions expect more from taxpayers, even if they cannot afford their exorbitant demands. A guarantee that public school funding will not be impacted by privatization. 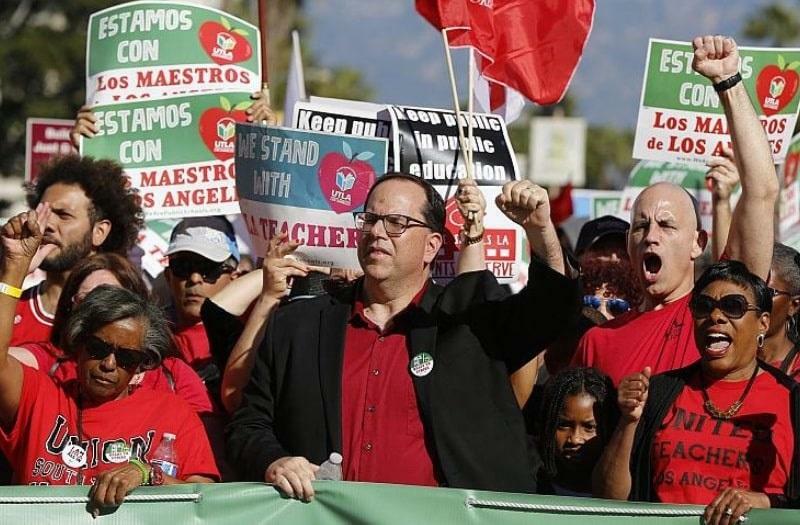 Suffice it to say, if teachers in the Los Angeles Unified School District (LAUSD) were given an exorbitant pay raise, they’d likely forego the other demands. Their plight garnered the support of the usual suspects: Black Lives Matter, Democrats, and Hollywood. Whenever instructors walk off the job in the name of their pupils, the mainstream media’s reportage, especially at the national level, is typically one-sided. The broadcasts usually lay the blame on Republicans, privatization, and other conservative conspiracies to bleed public schools dry. This isn’t shocking, considering the political nature of the press. Unfortunately for those who seek the truth, the coverage is void of facts. For instance, what is often absent in the discussion is the political representation. L.A. has a Democratic mayor, California has a Democratic governor, Democrats have a supermajority in the state legislature, and the courts are left-leaning. The right cannot be blamed for this one. So, it’s really the left that is engaging in a war on teachers? Not exactly. Let’s begin with the makeup of the school district: It boasts a $7.52 billion budget and more than 60,000 employees, including about 26,000 teachers, with the average annual salary being $73,000. While employment has gone up 16% since 2004, enrollment has dropped 10% in the same period. According to the latest available data, California school funding surged by nearly 10% from 2015 to 2016. If you examine a five-year period (2011 to 2016), school funding in the state is up a whopping 26%. Governor Gavin Newsom (D-CA) has further proposed the “largest ever investment” in the LAUSD. Plus, the district already offered LAUSD educators a pay raise of 3% this year and another 3% in 2020. It was rejected. But the school district can’t afford another pay hike. Next year, LAUSD will have a $422 million budget deficit, mainly because employee pension and health care costs represent a great portion of the budget – they will account for more than half within 10 years. Overall, it has $5.1 billion more in liabilities than in assets and another $15 billion in unfunded health care benefit liabilities for retirees and current workers. Officials conceded in a 2018 report that its shortfall “threatens its long-term viability and its ability to deliver basic education programs.” So, if raises were handed out, then future liabilities would swell, which would create long-term headaches that can only be remedied by a cocktail of cutbacks and higher taxes. Children are falling behind in mathematics, drag queen story times are infiltrating public schools, and social justice is paramount to reading comprehension. After spending 13 years in government indoctrination camps, studies have found that many Americans cannot answer basic questions relating to history, science, geography, or even money. One can only imagine the left’s reaction if the private sector delivered such results. 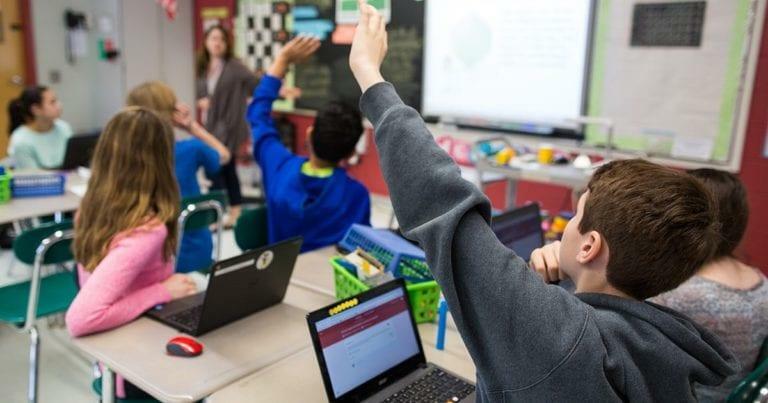 So, why should teachers and administrators be compensated more than they already are? If you continually failed at your job, your boss would not allow you to keep your position, let alone present you with a raise. Today, teachers earn more than average Americans, receive a myriad of opulent benefits, and will have quite the winter years thanks to overgenerous retirement packages provided by politicians. Yet, these civil servants are always wanting more and use the children as pawns to get their way. When will elected officials stand up for the taxpayers and not the powerful teachers’ unions?